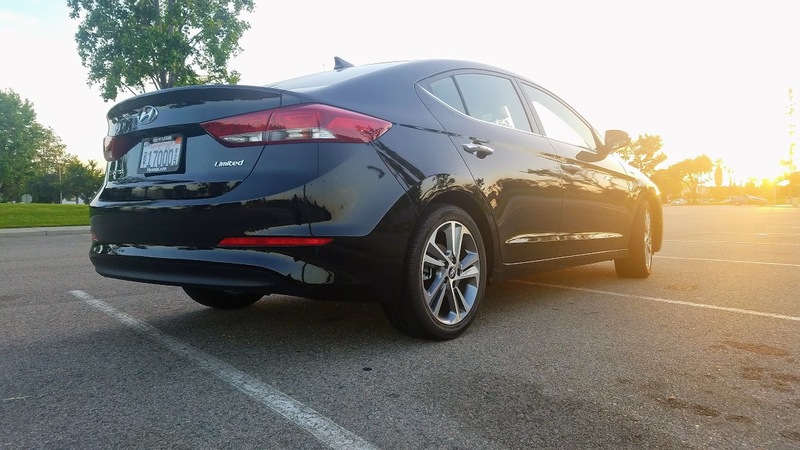 It's time for another vehicle review and this time it is for the 2017 Hyundai Elantra Limited! The Limited was my vehicle for some of my favorite events of the year including Spring Dapper Day at Disneyland, food adventures and an early media screening to Guardians of The Galaxy, Vol. 2! We started our review week with the Dapper Day Expo at The Disneyland Hotel! 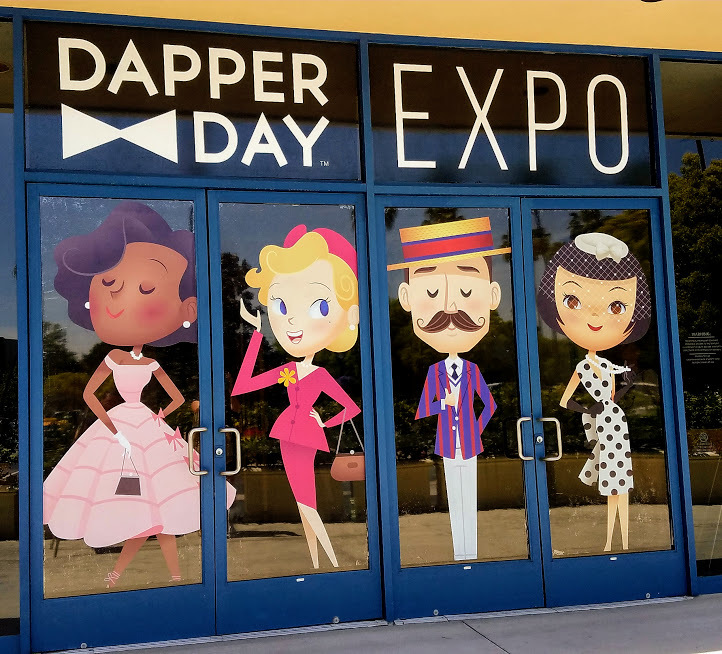 For those of you not familiar with Dapper Day, it is a twice yearly event at Disneyland and almost every Disney theme park around the world. 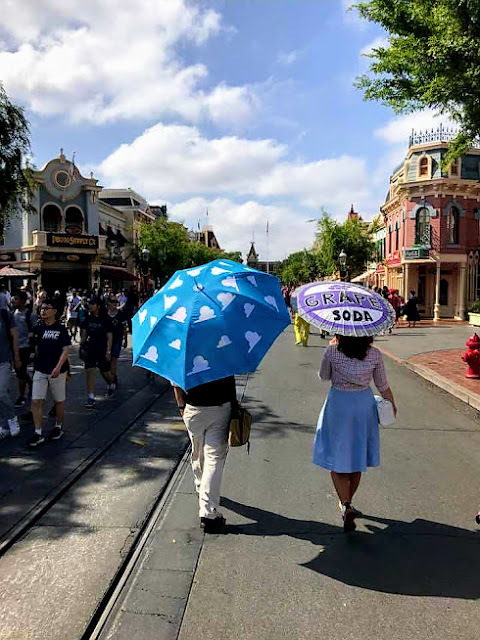 The idea was inspired by the original concept art for the park and throwback to a simpler time when men and women and yes, even children dressed up in their Sunday best to venture out into the world. 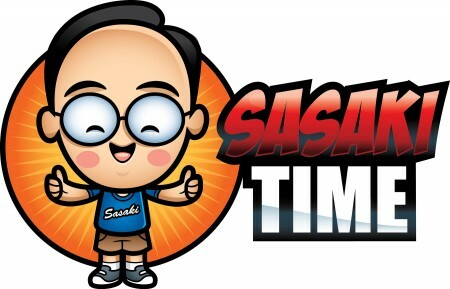 While not an official Disney event, this fan event has grown to cover various time periods and grows in popularity every year. Along with my friend Kristen, it is one of my favorite Disney events of the year. The weekend event includes a Dapper Day Expo held at The Disneyland Hotel convention center. Various companies show off their Dapper goods from women's clothing to men's clothing to accessories. 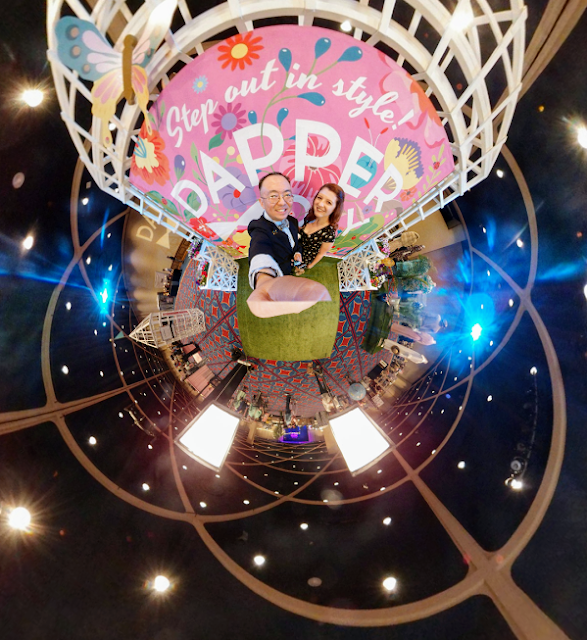 Using the Samsung Gear 360 camera to take this really fun photo of Kristen and myself at the Dapper Day Expo! After a great day at the Dapper Day Expo, it was an early Sunday start to head to Disneyland for Dapper Day! 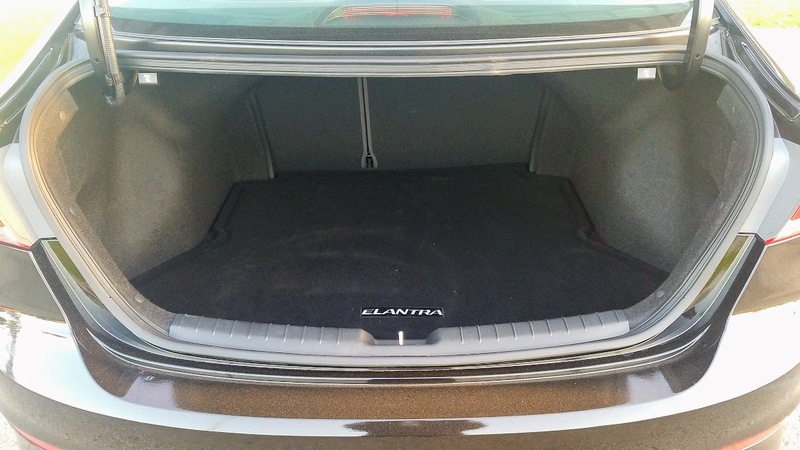 The Elantra, while a compact four door sedan, is transformed into a premium sedan with the Limited option! The exterior has a gorgeous chrome grille and chrome door handles! There are also stunning LED daytime running lights, LED taillights and even door handle approach lights. And the 17-inch alloy wheels are stunning! The premium features continue inside with standard leather seats. You will also find that the front seats are heated, a power driver's seat, a leather wrapped steering wheel and keyless entry with push- button start. 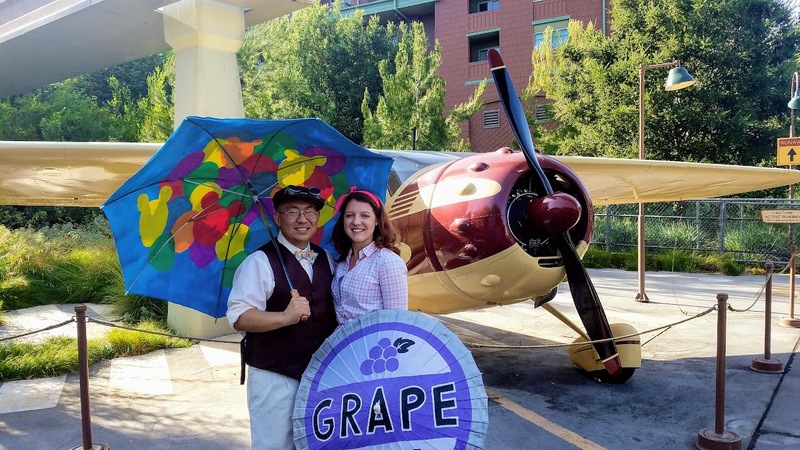 There is nothing like arriving at Dapper Day at Disneyland in style! Kristen and I went to Dapper Day, Disney Bounding as Carl and Ellie from the Pixar film UP. Disney Bounding is creating a look that emulates a Disney character without actually dressing up exactly like them which would be cosplay. All of our accessories are handcrafted from various people. Kristen's Ellie badge parasol and my UP balloons umbrella were big hits! It is always a great day in the parks and thrilled with how many people liked our outfits and accessories. 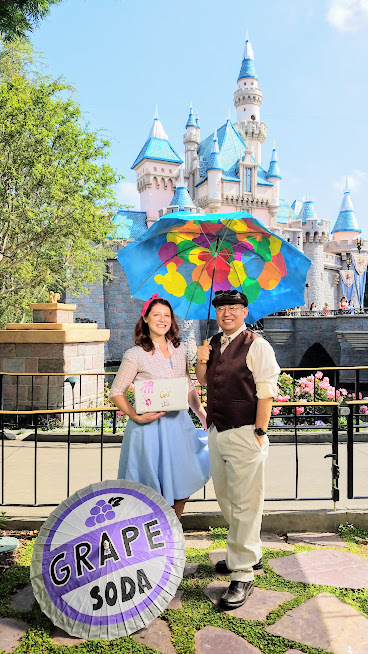 Another successful Dapper Day for us! The hands-free smart trunk came in handy to put away all of our Dapper Day accessories. 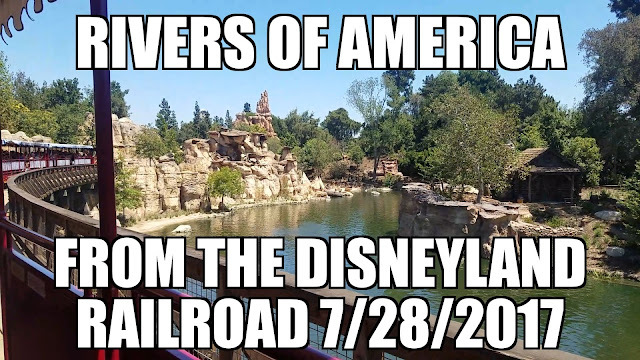 After a successful Dapper Day it is time for a food adventure! The first place is Birthdae Cake in Fountain Valley! The above is actually edible cookie dough on an ice cream cone! Absolutely amazing! The next adventure was to Nitrolado, also in Fountain Valley, that specializes in nitrogen ice cream, but I was here for the churro pops! Fresh made churros wrapped into a lollipop! 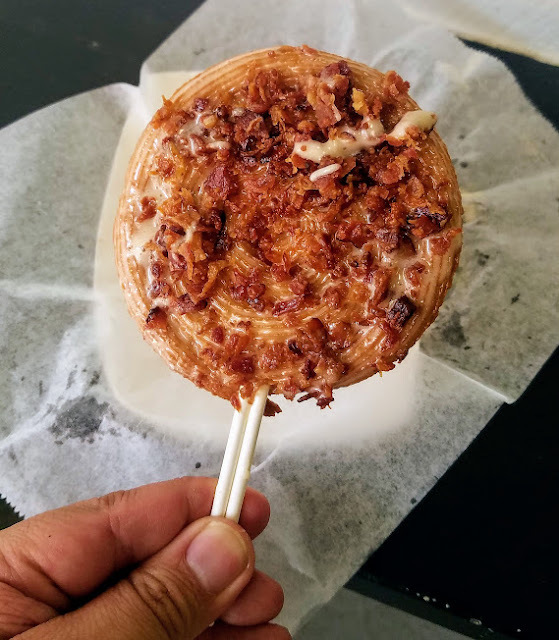 This is the maple bacon churro pop! Time to head back into the cockpit and drive! 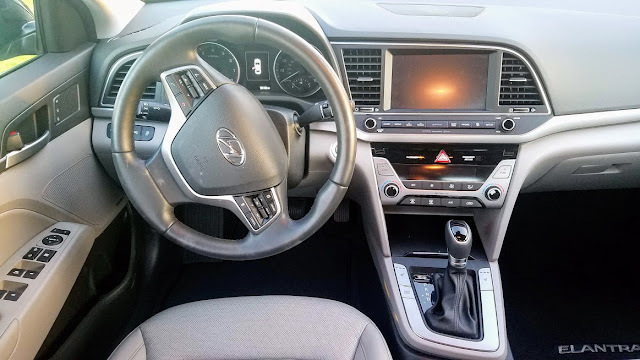 The dual climate control system, a large 7-inch color display, Apple CarPlay and Android Auto, USB ports, a rearview camera, BlueLink, blind spot detection with rear-traffic alert are all included. 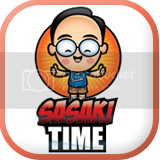 There are two package options to choose from, the tech or the ultimate package. 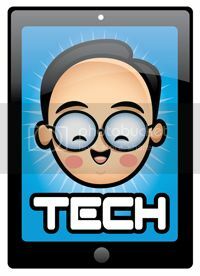 While the tech package can be purchased alone, the ultimate package requires you to get the tech package as well. The tech package adds navigation with a larger 8-inch touchscreen, an Infinity audio system with eight speakers that include a center speaker and a subwoofer, a power sunroof, heated rear seats and a auto-dimming rearview mirror. 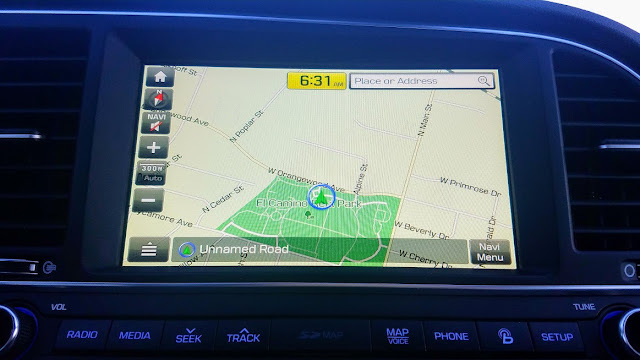 The ultimate package adds HID headlights with dynamic bending light technology to help around corners, automatic high beam assist, automatic emergency braking with pedestrian detection, smart cruise control, lane departure warning, lane keep assist and a memory system for the driver's seat and exterior mirrors. 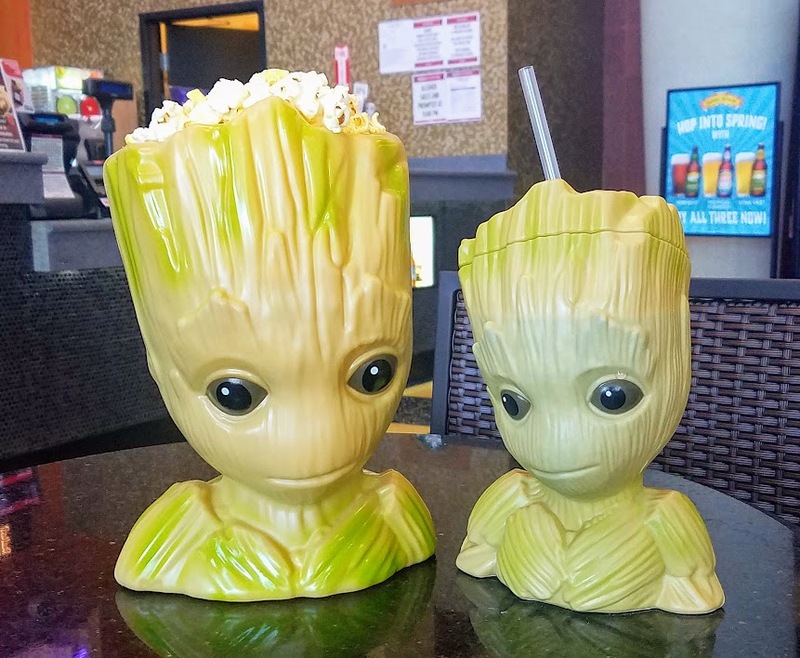 And all of this tech and luxury is more than enough to emulate a spaceship as I head to my final adventure of the week and that was an early media screening of Guardians of The Galaxy, Vol. 2! 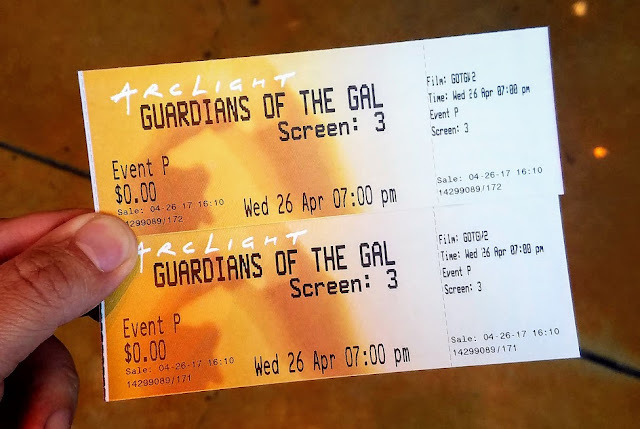 I loved the first one and the sequel is one of my most anticipated films of the year and I was not let down. Taking the characters that we learned about in the first one and expanding upon their relationships and motivations make this a huge summer movie! My new Baby Groot popcorn bucket and sipper! I love these so much because I am just a big kid! The 2.0-liter four-cylinder engine creates 147 horsepower and provides plenty of power for your daily driving needs. I had no problems in the Southern California area at all. Getting onto the freeways was a breeze with the horsepower as well city driving. The ride was smooth though the cabin wasn't whisper quiet which is a problem with small cars. The Limited gets 32 MPG combines with 28 in the city and 37 on the highway. 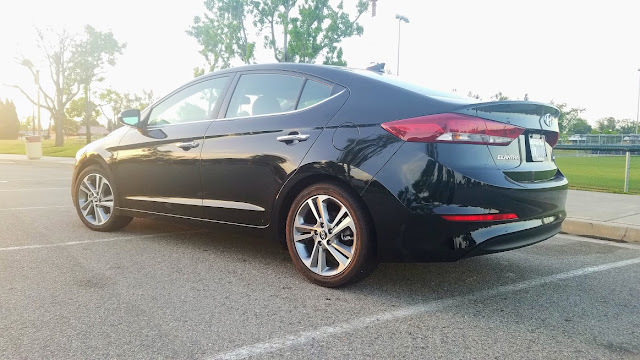 The Elantra starts off at $17,150 but the Limited Edition with both the tech and ultimate packages brings the total to $27,880. 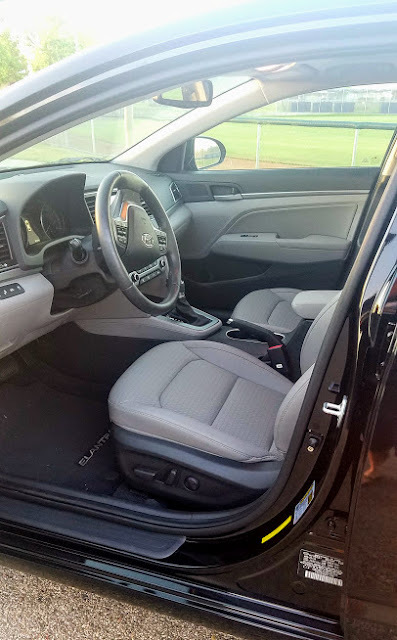 You also get the best warranty with a five-year, 60,000-mile new vehicle limited warranty and a 10-year, 100,000-mile powertrain warranty. 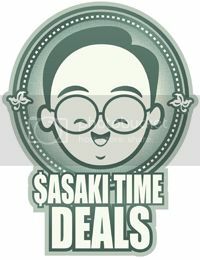 There is also five years of complimentary roadside assistance. 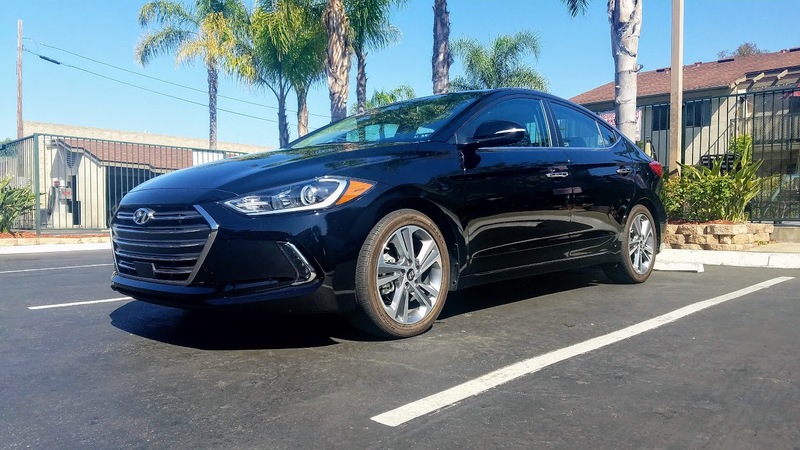 A stylish looking compact sedan with a ton of options and the best warranty in the business make this a vehicle that should not be overlooked.